Movement for Multi-party Democracy President Dr. Nevers Mumba has called upon members of his Party who belong to the two factions of the party to stop fighting as the courts will soon resolve the current leadership impasse. 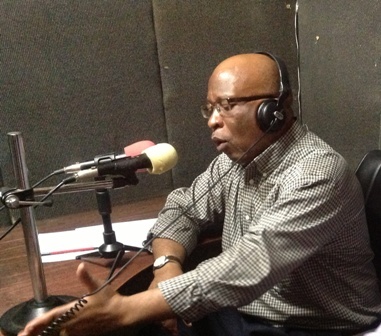 Speaking on Hot FM’s Hot seat radio programme yesterday, Dr Mumba said the failed attack by Mutati’s hired youths on Wednesday was a demonstration of politics of the Stone Age. “What happened Wednesday was very unfortunate and is clear some form of Stone Age politics. In the first place, those boys are not MMD members – members of a party can’t try to harm their president,” he said. “Secondly, if my brother Mutati has a disagreement with me, it’s better he comes to me or sends his children than sending innocent peoples children to come and do dirty jobs for him”. Dr Mumba hailed the former MMD Security team for chasing away his attackers. “What if the security team reacted harshly and injured them, would he have paid their medical bills?” he asked. And Dr. Mumba said his party was currently facing some hiccups which the court will soon resolve. “Our party, the MMD is currently facing some few hiccups, which we as the MMD through the National Executive Committee (NEC) took to court to resolve because we don’t believe in resolving things through violence,” he said. “So I would like to take this opportunity to call upon all members of the MMD to stop attacking each other wether it’s through violence or insults, they should just remain a bit patient because the courts will soon resolve this case”. Meanwhile, Dr. Mumba said Zambia Centre for Interparty Dialogue (ZCID) could not facilitate the dialogue process because it’s an interested party. “We as the MMD believe that ZCID can’t facilitate the dialogue process because they are an interested party. ZCID is a cocktail of political parties who are an interested party in the dialogue process. That’s why we are of the view that the Church which is not an interested party should facilitate the dialogue process,” he said. The Church had a truck record of facilitating dialogue. On the attacks by some sections of the media over his recent call for the state to consider the plight of former Republican Vice President, Dr. Mumba said though his message had been misunderstood, he was glad that it had caused a national debate.